Can't remember your last HVAC tune-up? Mark your calendars now, and read on for why skipping this piece of routine maintenance is risky business. Out of sight, out of mind: If your heating, ventilation, and air-conditioning system has recently been operating well, you probably haven’t given a thought to scheduling a professional checkup. Lucky for you, we’re coming up on one of the two best times of the year to do so! 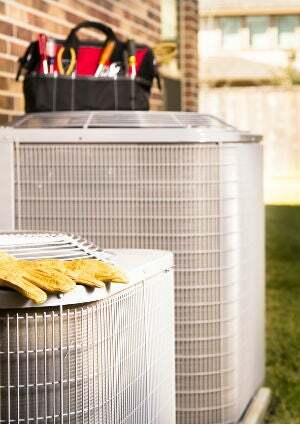 Smart homeowners schedule HVAC checkups before seasons of heavy use: in the fall before it’s time to run the furnace to heat your home, and in spring before turning on the AC to cool it. Neglecting to have your HVAC serviced at least once a year, though, could put the system—as well as the comfort and health of your family—at risk. Keep reading to learn why professionals like David Kenyon, a Project Consultant for Sears Home Services HVAC Department, insist upon this essential maintenance. In fact, the experts at Sears recommend preventative maintenance checks in the fall and spring. The worst time to discover a problem with your furnace is the dead of winter. Not only will you be left in the lurch comfort-wise, but repairs are almost always more costly than preventive measures. Even worse, in the wake of a breakdown, you could be stuck without heated or cooled air until a technician can order parts to repair the broken unit. 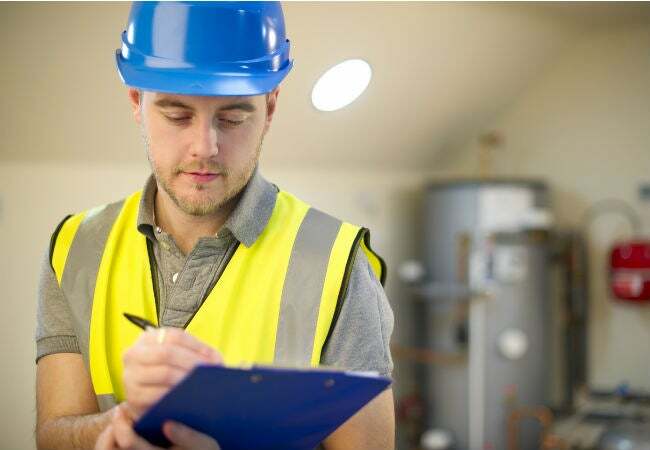 During a professional checkup through Sears Home Services, however, potential problems are identified and fixed before they can lead to larger problems that could cause a component failure. Those high costs for replacement parts and repair service? Well, if you’re hoping that the manufacturer’s warranty will help cover the expense of an unfortunately timed disaster, don’t neglect your unit’s annual checkup. Study your warranty, adhere to its terms carefully, and keep records of each time you have the system serviced. Checkups include more than just tests to ensure that all HVAC components are running as they should be. In fact, professional cleaning and maintenance of the units are an important part of a checkup. “Removing blockages, replacing filters, cleaning evaporator coils, and lubricating moving parts will all prolong the life of your HVAC system,” Kenyon says. Units that are serviced regularly run smoother and tend to run longer, making an annual checkup vital if you want to enjoy years of uninterrupted service. “Anytime you have fuel and electricity combined, you have a safety risk,” Kenyon says. That’s why with every tune-up a Sears Home Services expert checks for anything that could pose a fire hazard: leaks in oil or gas lines, loose connections in the electrical lines, and problems with the electrical wiring that could cause short circuits. Plus, the technician will test for the presence of hazardous carbon monoxide gas that can escape through a crack in the furnace’s heat exchanger. One single inspection helps ensure that families can breathe easy—and that the air they breathe will be healthy and clean. “Without a yearly inspection and servicing, you’re simply not getting the most out of your furnace or air conditioner,” Kenyon says. A clean HVAC system can operate at peak performance, whereas a neglected system has to work overtime—using more energy and more money—to keep the temperature in your home comfortable. Whether your system’s efficiency is being reduced by a clogged vent system, dirty evaporator or condenser coils, incorrect gas pressure, or a soiled burner, a Sears Home Services technician will clean and service the components to get them back in working order. Moreover, a checkup offers the opportunity for an energy-efficient upgrade on the spot. Licensed technicians typically carry a variety of thermostats with them and can install a new one during the checkup call, if desired. For instance, adding a programmable thermostat allows you to enter preset heating and cooling cycles to avoid operating the system when it’s not necessary. If you opt for a smart thermostat, it will take out the guesswork by learning your habits and preferences and acting upon them. Maybe your HVAC system used to keep all the rooms in your home at a comfortable temperature, but these days it’s leaving some rooms cooler or warmer than others. What you’re feeling could be the result of a blocked or leaking vent system, not just the sign of an aging system. A vent system that’s dirty or blocked has a more difficult time distributing heated or cooled air to every room in your house, which can result in dramatic temperature differences from room to room. “The visiting technician can pinpoint and fix blockages and leaks, so you’ll have better-balanced airflow throughout your home,” Kenyon says. That’s right: A fully functional HVAC can mean fewer repairs for your system and also protect other components of the home. During an annual servicing, for example, the Sears technician will check an AC unit’s drain line and condensate pump for signs of trouble. “A poor-functioning pump or a clogged drain line can result in leaks and, ultimately, water damage to the ceiling of the room below,” Kenyon explains. The moist environment in a drain line can lead to algae growth, which might block the line and cause the drain pan to overflow, but a regular inspection can clear drain lines before leaks can occur. If you haven’t set up this year’s maintenance yet, what are you waiting for? Schedule a house call with Sears Home Services before the first snowfall by calling 1-888-577-4342.